Newsletters - FL Studio 10 is here! Download the installer here. Don't forget to install a new FLRegkey.Reg file if you have Lifetime Free Updates. 64 Bit plugin wrapper - FL Studio now hosts 64 Bit VST plugins for access to unlimited memory. Revised Mixer - Wide Mixer tracks. Fully Automatic Plugin Delay Compensation (A-PDC). Waveform meter view. Autosave / Autobackup - Don't lose a project or data again. Revised Piano roll - Export as sheet music option. Vertical zoom with not properties view. Magic lasso selection & note-handle stretch. Edit ghost notes by double Right-click. Waveform view. Patcher (free) - create complex instrument & effects chains ready for quick recall in new projects. ZGameEditor Visualizer (free) - visualization effect with movie render capability. Pitcher (demo) - real-time correction/harmonization plugin responds to Piano roll note control. Newtone (demo) - pitch correction editor for precise control, pristine quality stretching, re-pitching and correction. Keep on disk & 32 Bit Bridge - now gives each Audio Clip / Sampler Channel / Plugin access to at least 2 GB memory and up to 4 for VST Plugins. Fruity Edition - now gains access to Playlist Pattern Clips. Lifetime Free Updates - have been extended to all FL Studio 10 box purchases onward. 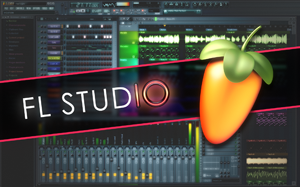 Learn more about FL Studio 10 here. To celebrate the launch of FL Studio 10 we are giving away thousands in cash!